Three point mouldboard type Trench Plough. 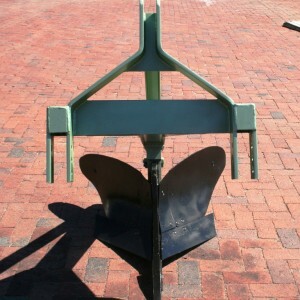 The Trench Plough is ideal for making trenches to prevent wind erosion. The Trench Plough can be used to make water trenches. 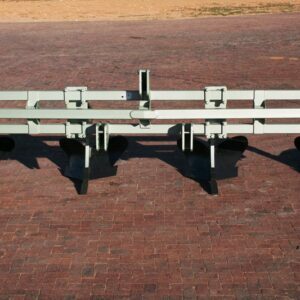 The Erdvark Mouldboard Bed Ridger have a very sturdy mainframe and mouldboard hangers. The mouldboard is manufactured of replaceable parts. The tip is unique in the sense that it is a knock-on ripper point that is specially manufactured from special material and it is infused with Tungsten Carbide granules welded on with a special wire compound. The ripper point breaks the soil slightly ahead of the shears and mouldboard. The implement is available in in various rows. The Erdvark Mouldboard Bed Ridger is suitable to make bed ridging for various single row plants.